New Modern Technomech Pvt. Ltd.
Services available only for Maharashtra, Goa and Karnataka. 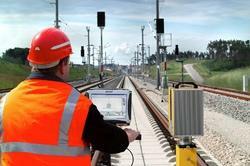 Due to our proficiency of this industry, our firm is betrothed in rendering Railway Electrification Service. These services are accomplished by industry capable professionals, who have the affluent understanding of this realm. Furthermore, we render this service at nominal prices. 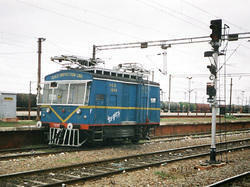 Railway Structures RSJ/BFB, ONR PORTAL, B.Series.SPS Mast. Special Mast TTC/TTB etc. We are MSETCL, JETCO, OPTCL, MPPTCL, DSPTCL & Power Grid (PGCL) & Railway Core approved Vendors. We manufacture railways structures, steel railways structures, galvanized steel railways structures, precision steel railways structures and galvanized mild steel railways structures. A2Z Maintenance & Engineering is also working for Indian Railways for installation of 25 kV Overhead Traction System and supportive Catanary System. A2Z INFRA ENGINEERING LIMITED (Formerly known as A2Z Maintenance & Engineering Services Limited) is also working for Indian Railways for installation of 25 kV Overhead Traction System and supportive Catanary System.